Get the hands-on training you need to help during emergencies. Our Albany CPR classes and First Aid training courses are taught by the experts in an intimate setting. This helps ensure that you'll have time to ask questions and become comfortable with the materials before completing your certification exam. Courses take just a few short hours, but can mean all the difference to those in need. In order to make our First Aid and CPR classes in Albany even more convenient, we offer a Simulation Learning experience which combines online coursework with an in-person skills session. This way, you can learn at your own pace, then show your skills to a trained, certified instructor, and receive full certification that's valid for two years. After taking First Aid and CPR classes in Albany, you can maintain your skills with our free refreshers. Designed to be taken on your own schedule, our refresher materials include interactive quizzes, games, learning activities, videos and more. In order to keep your skills sharp and knowledge fresh, we recommend that you complete a refresher every three months throughout your certification period. Your Red Cross First Aid and CPR certifications are valid for two years. Current certificate holders, and those who hold certifications that are within 30 days of expiring, can maintain their credentials by completing an abbreviated training session with experts in Albany. 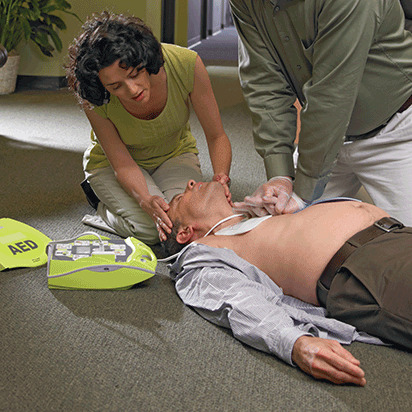 First Aid training and CPR classes for renewal candidates are available throughout the year. Please check your local schedule for details. Get CPR and First Aid training in Albany that's designed specifically for healthcare professionals. Created for those with a duty to respond, our courses use the latest science and educational innovations to cover performing primary assessments, giving ventilations, choking, CPR, and AED use. Successful completion of the course gives you a two-year certification, access to free refresher materials and more. The Red Cross not only offers First Aid and CPR training in Albany for private individuals, first responders and organizations, but we also offer a special training program for schools, which includes their staff and their students. Find out how to take part in our program, and empower your educators and pupils with the tools to help those in need. Get the CPR certification you need to meet OSHA workplace requirements. At the Red Cross, our Albany CPR training classes can help you develop life-saving skills that you can use at work, at home and everywhere in between. Choose from our in-person training, or our blended Simulation Learning experience, which combines online coursework, which you can take at your own pace, with an in-person skills session. Both types of classes give you the opportunity to receive full certification that's valid for two years. The Red Cross delivers CPR classes and First Aid training in Albany that allows you to learn your way. With in-person classes and blended Simulation Learning opportunities, plus local, knowledgeable instructors who can guide you through important theories and practices, our courses give you access to world-class instruction that's just minutes from home.